Santa Clara Vanguard CEO Jeff Fiedler submitted this photo. 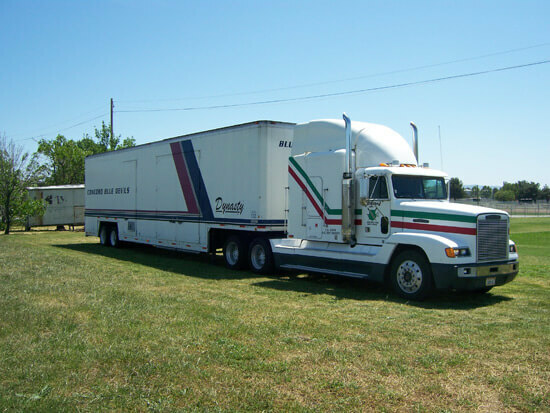 When the Blue Devils needed their trailer moved, Santa Clara Vanguard sent their tractor out to help, a favor the corps has returned many times according to Fiedler. As Blue Devils and Santa Clara Vanguard volunteer Terry Maurer said, the corps are thankful for the relationship because "it's really all about the students, and providing them every opportunity to succeed no matter what color uniform they wear on the outside!"